For about a year now Hubby and I have been thinking and planning on moving out west. We currently live in North Carolina; I’m a native, he’s a transplant from Canada. We’re both ready for a change, both visually and culturally, and decided that the Pacific Northwest would be a big enough change for us. We had…and still have…big plans for moving to Washington state, buying some land, and changing our lifestyle drastically. Hubby will be transferring within his company, so all our dreams hinge on a job being open for him where we want to go. Last year we were waiting for a particular job in a particular city to open up for him, and were told that it should open up in 2009. So we planned, and waited. 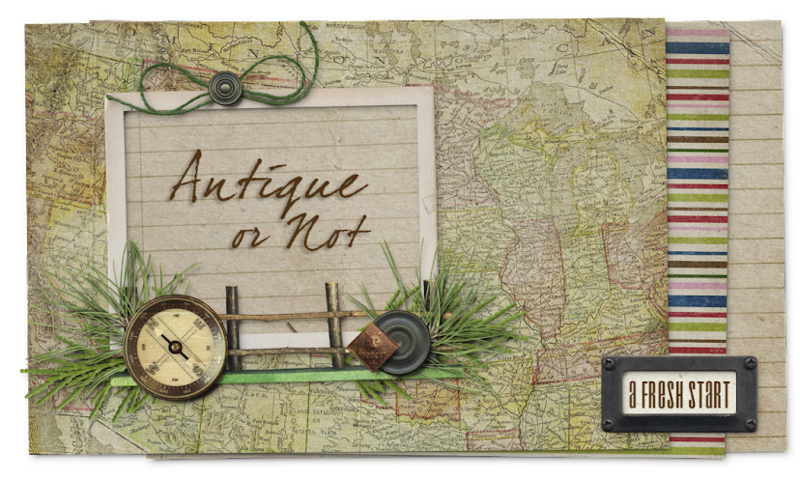 Knowing that when the job did open up that we would have a very short time to pack up and go, I closed my antique shop so that we could downsize and prepare to move. And then we waited some more. Now we learn that the job Hubby wants is vacant, but not open. Big difference, I hear. Apparently the current state of the economy has forced a lot of companies, even healthy companies like his, to slow down growth and tighten the budget belt. The last year has been an emotional roller coaster…first the move is several months off, then it’s “any time now”, then it’s questionable. It’s tough when your future depends on someone else, but right now we’re just thankful that Hubby has a job. Although we’d love to get the call today that the job is open, the honest truth is that we’re not physically ready to go. I still have tons of inventory to push out the door, although now we’ve decided that whatever I still have when moving time arrives will be packed up and taken with us. I still have a lot of our personal belongings to go through and winnow down, but I’ve gotten enough done already that it’s more manageable now. In comparison to the business inventory, packing up our personal belongings when the time comes will be a breeze. And that’s where we stand on the move situation…a little closer to being ready, but less chance of it happening any time soon. Dang it! It will happen when you least expect it:) I'm sure when it does you will find the perfect place. Hi Pam, I've often wondered where you guys were at with your moving plans. Things happen for a reason. Maybe when you are physically ready, voila, you'll get to move! Understanding the waiting game, I'm sure it's been a rollercoaster ride!1 Take care. Oh, I cleaned up a tornado mess or watered your plants in FT. I'm always trying to prepare too, it's hard with so much unknown going on. Having an uncertain future is very hard. But having a job right now, is a huge blessing because as you said, even healthy companies aren't being careful. I will cross my fingers and toes that when you are ready, the company opens the position and you can make your dream move!! I hope everything works out to your heart's desire!! Moving is hard work! Sending you our very best dear Pam!! Hi! Just found your blog & website. Hope that 2010 brings you the change you and your family are looking for. I can't wait to read more on your blog and explore your store!!! Your comments always make me smile. Thanks for taking the time to leave me a sweet note! I do not offer an appraisal service, and cannot give an estimate for the value of items you may own. It's Fostoria “American”...or is it? All Rights Reserved © 2008-2019 Antique or Not. Powered by Blogger.